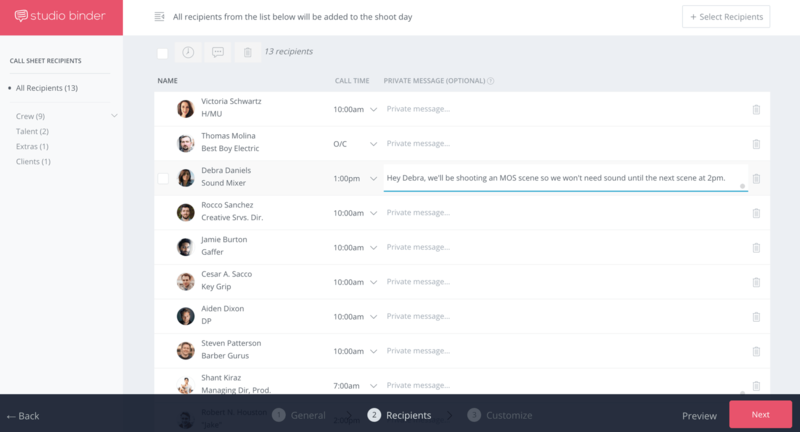 Your film scheduling software might be able to juggle your cast, crew, and locations perfectly. You may even be using an excellent shooting schedule template. But here’s the truth. Even if the logistics are rock solid, your schedule may not be. Here are ten pro tips to help you create a shooting schedule that actually builds momentum on set. One of the major crew downers is a very early call time for a quick setup, followed by waiting for several hours. Always start the day with one easy scene or part of a scene. It can even be an establishing shot, b-roll, or even a fun extra shot that might not make the final cut. Getting that scene in the can shows the crew there was a reason to show up so early. 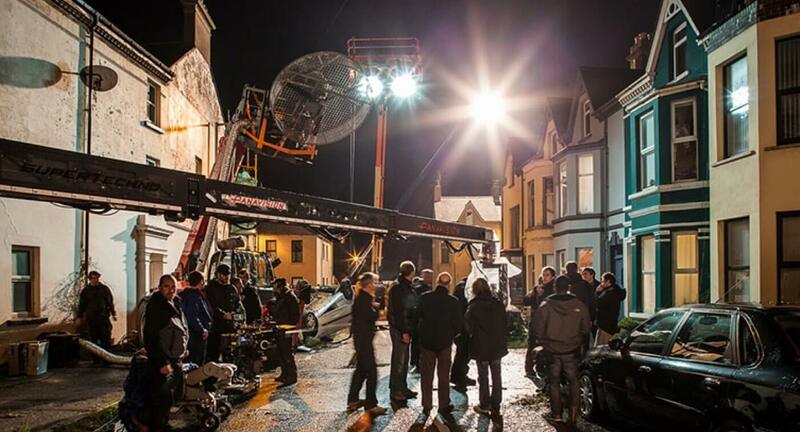 Will anyone work particularly hard on the first scene of the day on your shooting schedule? Are you also scheduling a second scene in which they’ll be challenged? Keep everyone’s spirit up by allowing focuses to shift throughout the day. If all of the heavy lifting is on a single actor for the whole day, they are going to be tired by the end and that’s not the best strategy to get a great performance. 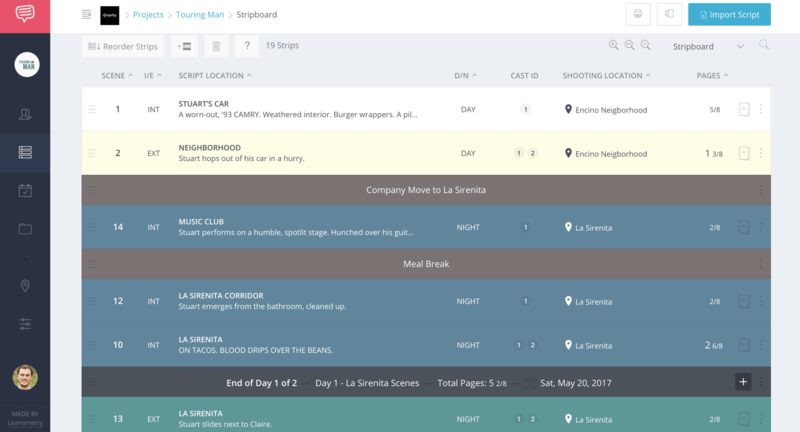 StudioBinder's Shooting Schedule Software allows you to reorder scenes effortlessly. Everyone is used to shooting scenes out of order for logistical reasons. However, if it’s possible, look for ways to shoot in order. 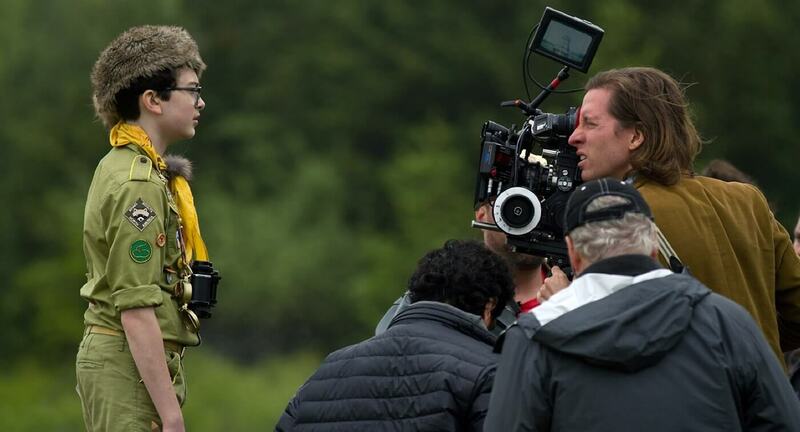 This will make continuity simpler and it will allow actors to follow the path of the film. It can also create a lot of excitement for cast and crew as they are experiencing the story unfold. Much of the time, chronological shooting is placed below logistical considerations, but it is always good to examine the possibility in your shooting schedule to see if it’s an option. 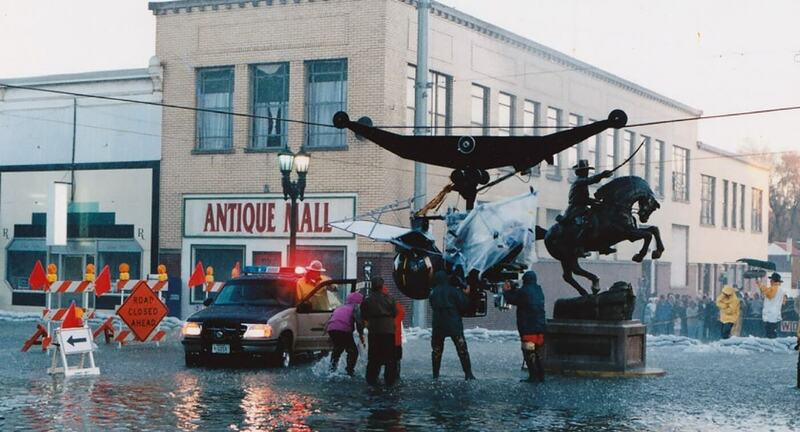 Your film production software can’t predict weather. If you have a scene on your shooting schedule that requires specific weather, always have a backup scene ready for that scheduled time. It’s best to see if you can match cast and crew on a day of indoor shoots with a day of outdoor shoots. Be prepared to swap days in case of rain. Always schedule the outdoor shoots earlier in the production because it will then be easier to reschedule them for later. If your last day of production is outdoors and you are hit with bad weather, there could be real trouble. Pro tip: If you must power through bad weather, have a shot list that can work when the rain starts, just in case. Even better, have an emergency indoor alternative location to move the scene when possible. When you look at the scenes or segments you’re putting together on a day, alternate between complex and easy. After a long go at a difficult scene, production should be rewarded with a quick win. This keeps everyone feeling like there is continuous progress. Often, the 2nd unit it used at an alternate location, but there are other options to keep your shoot moving. You can have your 2nd unit shoot b-roll in the breaks between other shots or scenes. Or you might even have them work in tandem with the primary unit on the same set to get extra coverage. Some productions without a full 2nd unit usually send the AC team to pick up b-roll while the director and cinematographer work out complex shots. Anything that knocks shots off the list during down time will keep your production swimming along. MOS, or motor-only sync, means that the image is being recorded without a synchronous audio track. In other words, your sound crew is not needed. So don’t make them stand around waiting! When scheduling your shoot, if you know a scene does not require sound, schedule it at the beginning or end of the day. I have been on countless productions where camera and sound crew both had an early call time. Then, it turned out that the first whole scene of the day was an MOS scene. By scheduling MOS shooting at the start or end of the day, you’ll allow your sound crew to arrive later, leave earlier, or pick up wild sound or other useful content. Scheduling crew call times are often not considered in shooting schedules, but this is an opportunity to stay one step ahead. Spread out the big moments in the film throughout the shoot. After a big moment is in the can, everyone feels a little excitement and joy. Dole it out throughout! 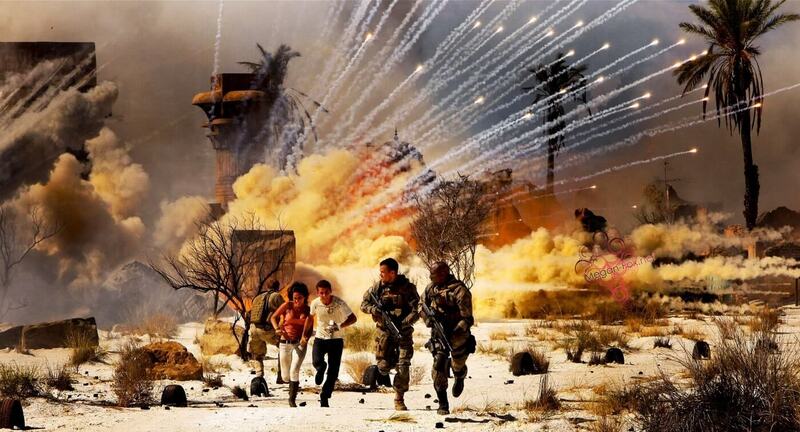 These can be extravagant things like stunts or explosions. It could be just emotional storytelling peaks. It could even be a complex choreographed camera or blocking movement. Right after completing a big, complex success, your cast and crew will truly believe in the project! Learn how to create a more encouraging production schedule. Schedule a scene each day on your film schedule template that allows each department to shine. Can you fill a day with exciting camera work, complex sound planning, and art-department perfection? Maybe not always, but aim for it. This helps each member of the team feel appreciated on every day of the shooting schedule. They will go home feeling accomplished and return the next day excited about their big moment. If you have any night shoots, be sure to schedule them before a day off. This will allow everyone to rest up and will ensure that you are not in violation of any union turnaround time rules. Generally, for SAG, you need a 12-hour turnaround from wrap to call. A night shoot followed by a day shoot can be a big problem. A day off at the right time can make your shooting schedule much smoother. Your shooting schedule may work logistically, but if you also make adjustments with the ten points mentioned above, you will have a logistically sound shoot that energizes your crew. Making the experience enjoyable for your cast and crew will not only be visible on theirs faces, but it will be visible on the screen! 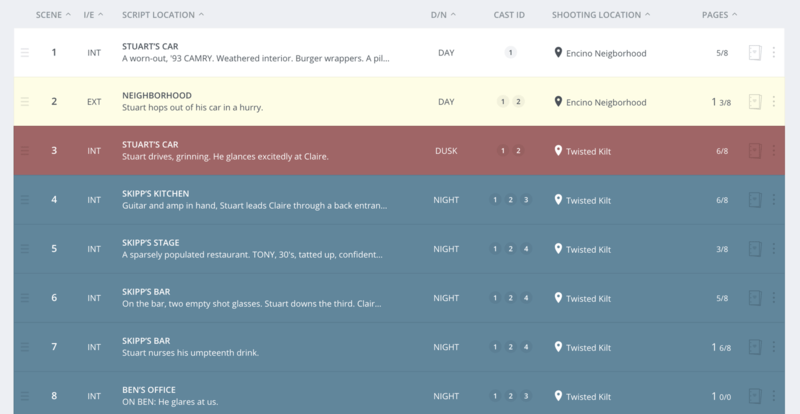 If you found this article informative, check out our guide to make a better shooting schedule with stripboards and download our free shooting schedule template. Hi my name is Daniel! was professional filmmaking, not kindergarten. day of work, uuh…ti saluto!